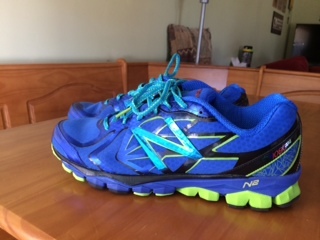 Back in March I wrote a review of my experience at New Balance South Windsor and how I struggled to find the correct shoe and fit. I had tagged the brand and store is some of my tweets promoting the piece so they could see what had happened and perhaps reach out to discuss the post with me. I didn’t really expect a response, I think I tagged them as a way to gain some customer feedback if nothing else. I hated writing the review as I dislike posting anything negative, but the result was negative and I felt like I had to tell the whole story including the negative outcome. I didn’t hold anything against the store; I was outside of my 30 day warranty and didn’t feel like the store owed me anything. I was completely surprised when Michael Disibio, the owner of the both the South Windsor and the Avon locations, reached out to me recently. Michael was concerned that I had not been able to find a product that fit my feet and my needs. He offered to refit me and give me a refund for the original products. I was surprised to hear from the owner, let alone the offer to exchange the merchandise three months after any warranty would have expired. Last Friday I was finally able to get back to the store. Michael wasn’t able to be there, but he put me in touch with Steve Bosse. Steve is a certified pedorthist and an expert fitter. Steve patiently listened to what was bothering my feet with the original shoes. He was able to tell by my story and by examining my shoes what some of the problem might have been. He remeasured my feet and again had me step onto the pressure pads to be able to see where my feet carried the pressure when I stood. Once he did that he also checked my ankle alignment. With all of that information he was able to explain what might have gone wrong. In short, I have strange feet. My arch is low and normally that would require both the shoe that was recommended as well as the original insert. Once I tried the insert and came back, the next normal step would be to recommend the memory foam insert that I was given. Steve had to double and triple check my pressure readings and ankle alignment to see that my body was, in a broad sense, self-correcting for the lower arch. The first pair of shoes was designed to help someone correct for a low arch, but for me it was overcorrecting. Steve was able to recommend a pair of more neutral shoes that instantly felt better. He was also able to show me haw changing the size can affect the width of the shoe more than you might imagine. I actually ended up in a narrower shoe than I would normally wear. I am completely satisfied, and I learned a few things. Try to have a good idea of what you are looking for when you shop for equipment. It’s easy for a customer to go into a store, especially when you are new to a sport, and ask for recommendations. It can be very difficult for a staff member to properly help you out without some direction. The first time I went to the New Balance store, I had no idea what I wanted or what I might prefer. I just said something along the lines of “Hi, I am going to start running, find me some shoes.” The salesman did his best, but that was a pretty wide net to cast. This time I was able to tell Steve how many times a week I run, where I run, what my goals are, and what type of shoe I was looking for. There was a big difference in starting point when I was able to say I was running two to four times a week, mostly three to four miles a time, mostly inside but more and more outside, and that I was looking for something light but not minimalistic. I wanted something to take me through the cooler months to my last race of the year in December. That gave Steve a great place to start pulling shoes to see what I liked. Don’t be afraid to ask questions. You might not know what type of shoe you are looking for, or what minimalistic shoes are. I didn’t before I went into the store. I told Steve I wanted them light, and used a pair of shoes I owned as a comparison point. I asked what the difference was between the minimalistic shoes were compared to what I was looking at. I asked the difference between models in the group he suggested. I even asked about the different types of foam in the soles. All of it helped Steve and I decide on the right shoe. Have a realistic budget and stick to it. The New Balance store has a lot of options in all price ranges. If you don’t let the staff know what you can spend you might end up looking at some shoes that are out of your budget. Don’t be afraid to go back and talk to the shop if you didn’t get what you wanted or what you expected. A second return trip in March might have solved my problem instead of leaving me with expensive paperweights. If the shop doesn’t know you are unsatisfied or if you are having a fit issue they can’t help you. There is nothing better than getting to write a follow up to a negative post with a “happily ever after” update. It’s even better to see a merchant go out of their way to correct a problem that were not under an obligation to address. My warranty was expired but Michael cared enough about his customers to reach out to me and try to address my fit issue. Michael and Steve worked hard to get me into a pair of shoes that fit much better and they were genuinely concerned with both my satisfaction and understanding what happened to cause the fit issue in the first place. Once Steve was able to see what happened he was able to correct the problem. No one could ask for a fairer and more customer friendly experience than that. I can’t wait to get out running in my new shoes. This entry was posted in Uncategorized and tagged Buying Tips, New Balance, running, Running Shoes, Shoes, Update. Bookmark the permalink. Nice kicks! Even nicer that their customer service ended up being top notch. What a great response to your review! I would go to that store for my shoes because of their customer service!